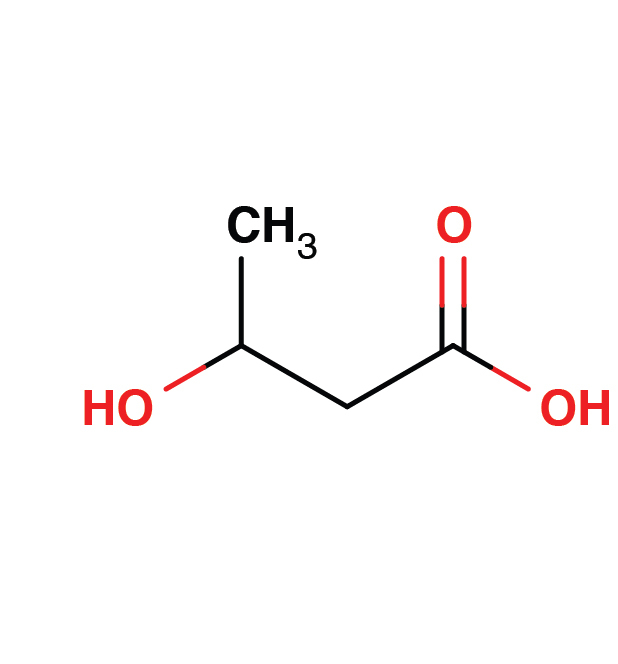 3-Hydroxybutyrate (bHB) is the most abundant ketone body. It is synthesized from acyl-CoA primarily in the liver. Increasing serum/plasma bHB concentrations reflect upregulated fatty acid β-oxidation as well as ketogenic amino acids catabolism in the liver and skeletal muscle to compensate insufficient glucose supply. bHB synthesis is stimulated and serum/plasma levels increase under conditions of fasting, endurance exercise, malnutrition or metabolic disorders including diabetes mellitus. High levels of ketone bodiss, like bHB and AcAc, are not only indicators of diabetic hyperglycemia, but also markers of disturbed glucose metabolism in the prediabetic state (2). Lower limit of detection (LOD): na. Within-day CV: 5 %; between-day CV: na. Matrix: Serum or EDTA plasma. Preparation and stability: Probably stable. Intraclass correlation coefficient (ICC): na. 2. Mahendran, Y., Vangipurapu, J., Cederberg, H., Stancáková, A., Pihlajamäki, J., Soininen, P., Kangas, A.J., Paananen, J., Civelek, M., et al. (2013). Association of ketone body levels with hyperglycemia and type 2 diabetes in 9,398 Finnish men. Diabetes 62, 3618-626.